Whether you’re running a trucking company, you’re driving the truck, or both – you need fuel. Fuel is the second largest operating expense for most trucking companies and can account for more than 20% of your trucking company’s total costs. So how do you manage fuel costs? Fuel cards are a great way to save money on fuel while also controlling what products and limits are available. The TransConnect (TCS) Fuel Card provides fuel discounts for truckers that can add up to big fuel savings over time. TCS clients can save an average of 30 cents a gallon when they fuel up at more than 1,000 of our nationwide in-network locations. 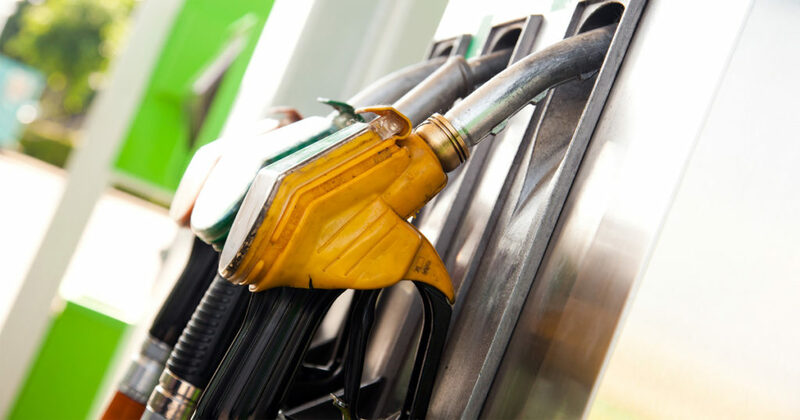 There are different types of fuel discounts and not all are created equal. 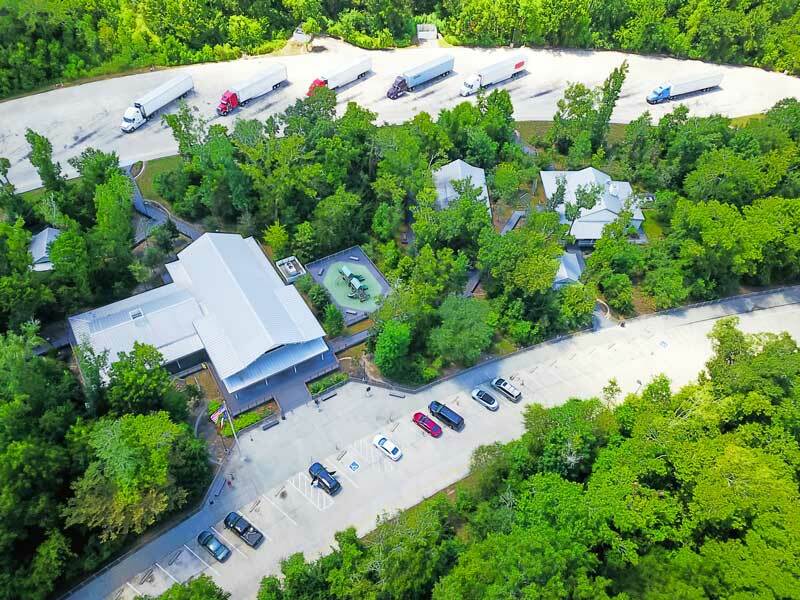 Having a fuel network with mostly cost-plus and better-of discounts means that you pay slightly above what the truck stop pays for each gallon of fuel. There are other fuel discount programs out there, so it’s important to know the difference and what will save you the most money over time. The TCS Fuel Card specializes in leveling the playing field for all trucking companies and truck drivers. You get the same fuel discounts whether you’re an owner-operator or have a fleet of trucks to manage. It’s obvious, the best part of getting diesel fuel discounts is saving money. With the TCS Fuel Card you’ll save money on every fuel purchase – never paying more than the cash price for diesel! The best way to maximize your fuel savings is by fueling up at our in-network discount locations. *The TCS Fuel Savings Calculator provides estimated fuel prices and savings, and in no way binds TCS Capital Corp to fuel prices or discounts. The calculator does not provide a final determination of the fuel prices you will pay or the discount you may receive, but is merely an estimation. 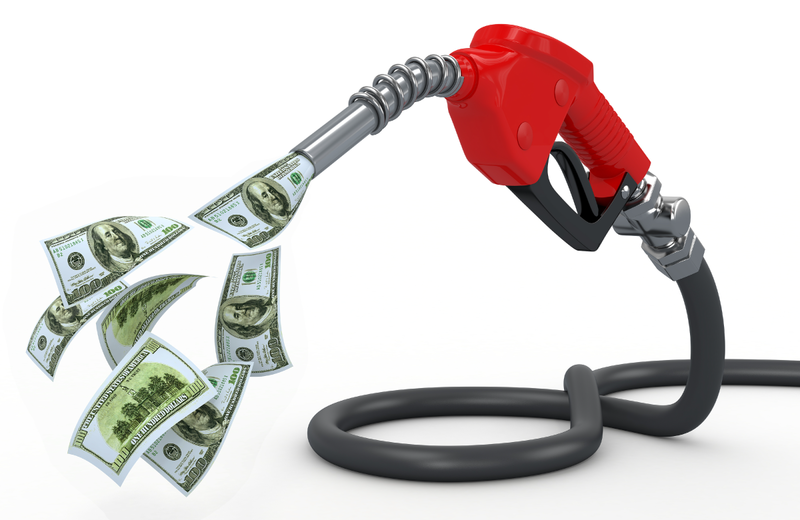 Fuel prices continually change due to the market, suppliers, and truck stop determinations. 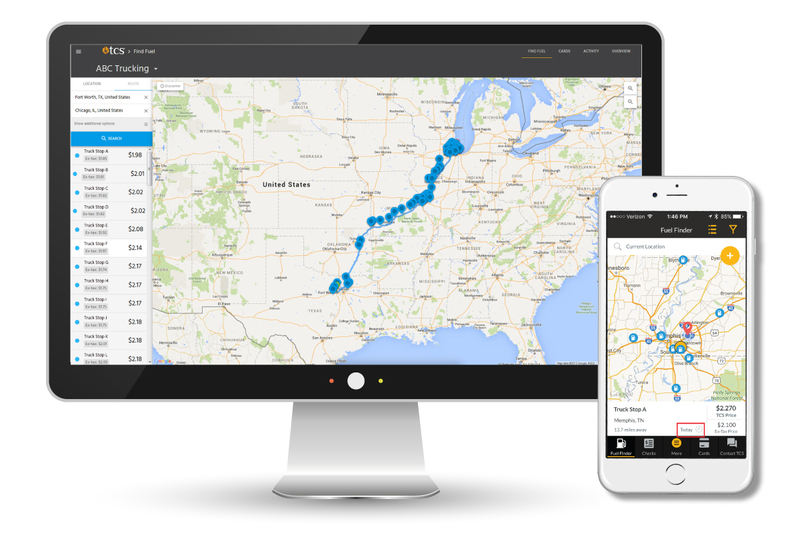 The TCS Fuel Finder is an interactive map that shows fuel prices at truck stops in your area or along a route, making saving money on fuel as easy as clicking a button. The Fuel Finder is available 24/7/365 on the TCS website and on the free TCS Mobile App. Don’t miss out on the convenience of managing your fuel card account anytime and anywhere. Get the TCS Fuel Card today. Sign up now!